An MSP company that burns through employees is going to lose money. You need to avoid this with all strategy and artifice. Consider the costs involved: when you acquire an employee, even before they’re hired you’ve spent money. You need to peruse prospective clients, or spend your time seeking qualified applicants; either of which can take hours, days, or even months, depending on the position and your needs. If you summarize by saying this expense is a few thousand, you’re likely being conservative in your estimate. Once you find the right individual, you’ve got to train them. Their first month will likely produce much less productivity than later months. If you imagine that you acquire a third of the value the new hire will ultimately need to yield over the first month, that’s likely going to be somewhere in the ballpark of accuracy. What’s better is assuming a total loss during the orientation period. Next, you need an employee to bring enough value to your MSP company that it justifies the costs of both seeking and acclimating them. They’re likely at a salaried position which is no less than $100k a year or $8.3k a month. If it takes six months to get a new individual up to speed, that’s $50k you’re out. If you’re going through employees faster than a year’s time, you’re very likely losing money–depending on your own operation’s numbers, of course; the actual period of ROI could be higher or lower depending. Invest more in hiring the right people and taking your time to get the right person for the right job. You should never hire out of desperation unless you’ve legitimately got no other choice. When you do get the right people, have their first day at work be a good one. Facilitate orientation–it makes sense to onboard employees in groups to facilitate relationships between them. 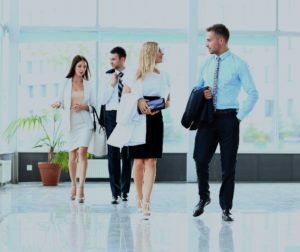 Workers are going to remember that first day, and in many ways, it will inform their attitude toward your company throughout their tenure there. Last but not least, you need to have a strong and vibrant corporate culture which is amenable to those you hire and which provides them a forward career path. They need to know that working with your business will ultimately serve them in the long-run. This will increase their likelihood of staying with you. An MSP company that is strategically conscientious in terms of its hiring procedures is likely to acquire better employees who stay with them until investment has matured and beyond. A wise move involves considering your existing procedures and finding areas where optimization may help you hire better staff.